Kuwait has handed over to the Iraqi Ministry of Water Resources four water desalination units in support of Iraq on the directives of Kuwaiti Emir Sheikh Sabah Al-Ahmad Al-Jaber Al-Sabah. The Kuwaiti consul in Basra said that his country is seeking to alleviate part of the water crisis in Iraq. Undersecretary of the Ministry of Electricity and Water Mohammad Bu Shahri said in an interview with Kuwait News Agency (AKnews) that "Kuwait has handed over to the Ministry of Water Resources in the Republic of Iraq four desalination units in support of the brothers in Iraq, Prince Sabah Al-Ahmad Al-Jaber Al-Sabah, "noting that" the production capacity of these units up to one million imperial gallons per day. " He added that "the delivery was on the Kuwaiti-Iraqi border; where a technical delegation from the Ministry of Electricity and Water delivered these units to officials in the Iraqi Ministry of Water Resources, in the presence of the Consul General of Kuwait in Basra Yousef Al-Sabbagh." For his part, said the Consul General in Basra, Joseph Al-Sabbagh said in a statement issued by the consulate that "these stations came to alleviate part of the water crisis in Iraq." "These units are a continuation of the series of support provided by the Government of Kuwait to the Iraqi people, which we are associated with strong relations based on good neighborliness and common interests between the two countries," Sabbagh said. 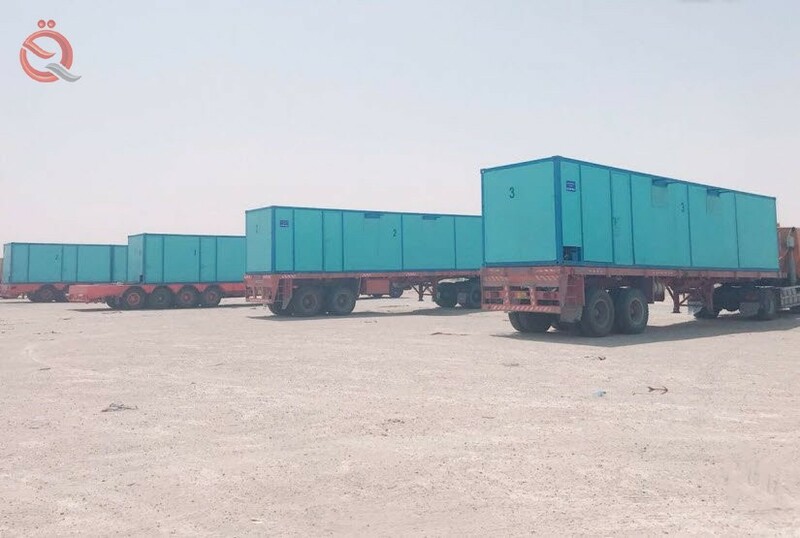 The Ministry of Electricity and Water of Kuwait has donated last month with 17 mobile generators with a total capacity of 30 thousand kilowatts to alleviate the electricity crisis in Basra.